Think you don’t like brussels sprouts? 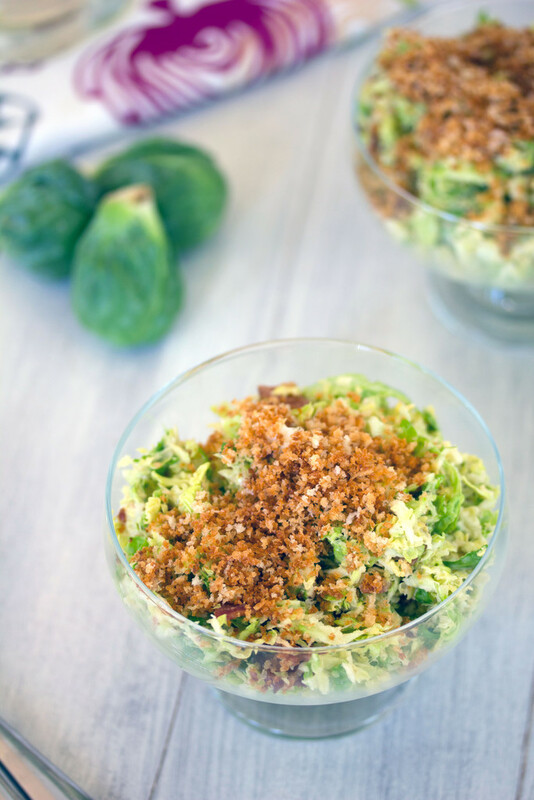 This Brussels Sprouts Bacon Caesar Salad will have you second guessing that notion. With salty bacon, lots of creamy caesar dressing, and a crispy panko topping, there’s no way you won’t love this salad! Chances are, I’m relaxing on a beach right now. But I couldn’t leave without a scheduling a blog post or two (OK, let’s be honest, I’m always scrambling up until the last minute for trips, so probably just one) in between crying over the fact that I’m leaving my dog and trying to decide if 4 bathing suits are really necessary (answer: yes). 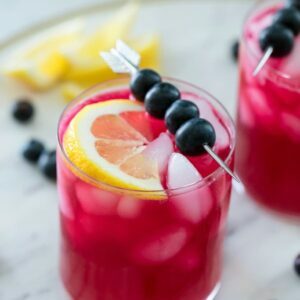 Here on the blog, I’m trying to keep it healthy today… Which I’m not really sure what that says about me considering I’m likely sitting in a lounge chair eating nachos and drinking sugary piña coladas as we speak. I’m aware that people always say that you’ll love their recipe even if you don’t like “fill in main ingredient here.” And it probably is mostly never actually true. But I really and honestly mean it with this recipe. 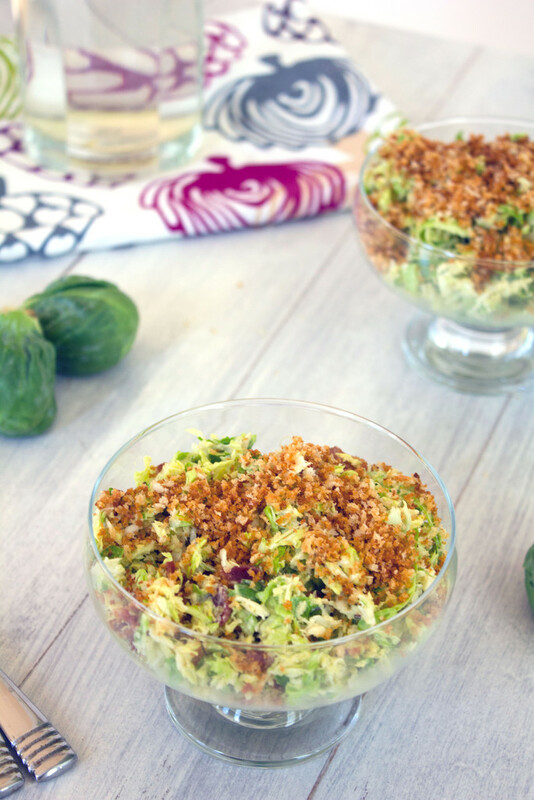 If you’re dealing with someone in your life who doesn’t like brussels sprouts, make this salad for them now. And force it on them. They’ll probably resist. Because it’s a lot of brussels sprouts and not a whole lot else. But just tell them that caesar dressing is magical and so is toasted panko and then pinky swear to them that they will love it. If that doesn’t work, just mention the word “bacon.” Brussels sprouts BACON salad. Now, how can they say no? OK, so there’s a slight chance that someone who doesn’t like brussels sprouts may also not appreciate anchovies in their caesar salad dressing. You can always leave the anchovies out (though I promise they add a ton of awesome flavor that isn’t what you might typically think of as “anchovy-like”), but you cannot leave the brussels sprouts out. Then this would essentially just be a bowl of dressing with bacon mixed in and panko breadcrumbs on top. Still delicious, no doubt. But not quite a meal. 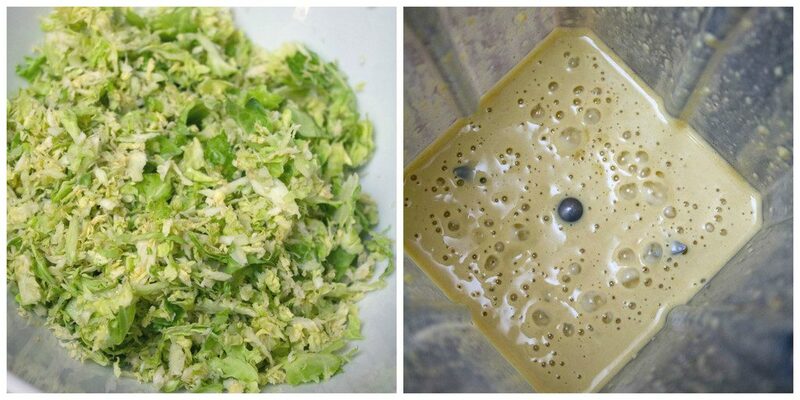 The key to true brussels sprouts love is to chop the sprouts up as much as you can. I used the shredding blade on my food processor. Brussels sprouts are a whole lot less intimidating when they’re a bit more bite-sized. 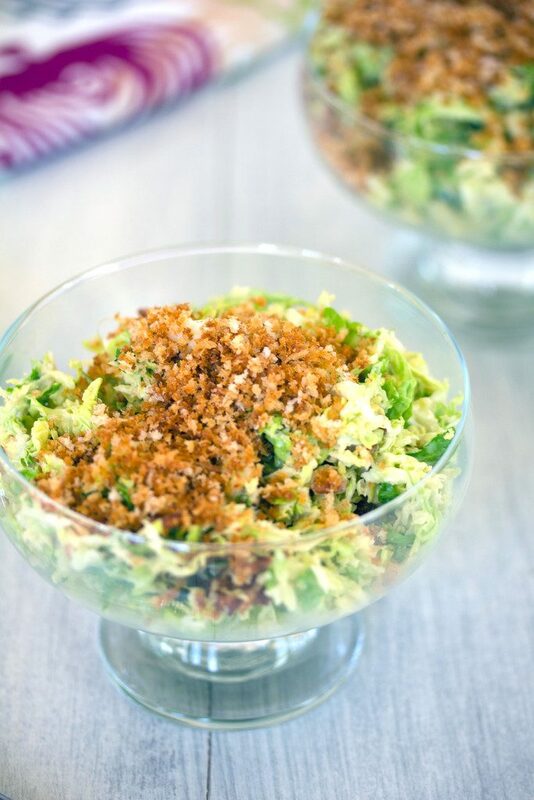 A really, really tasty caesar dressing, bacon, and extra-crispy panko breadcrumbs generously sprinkled over the top will certainly bring you closer to true salad bliss. I’ve had many brussels sprouts dishes over the years where I’ve thought to myself, “how can anyone not love this? ?” (and especially brussels sprouts bacon dishes!) but I’ve never felt that so strongly as I have with this dish. I guess if you try it and you still truly insist that you don’t want sprouts in your life, I’ll have to officially give up my quest to convince the world brussels sprouts are a gift. But first, just take one bite of this salad. Experience the umami of the caesar dressing and the bacon. Feel the crunch of the panko. And look at me and say the words, “finnne, you win!” Now, don’t you feel a lot better? Are you a fan of brussels sprouts? Do you think you would be after trying this brussels sprouts bacon caesar salad?? (see above for answer). Think you don't like brussels sprouts? This Brussels Sprouts and Bacon Caesar Salad will have you second guessing that notion. With salty bacon, lots of creamy caesar dressing, and a crispy panko topping, there's no way you won't love this salad! Slice brussels sprouts finely. I recommend using the shredding blade on your food processor. Place shredded brussels sprouts in a large bowl. Add crumbled bacon and caesar dressing to bowl and toss well. In a medium-sized nonstick skillet, heat olive oil and add panko. Cook panko, stirring, until golden and crispy, about 3 minutes. Sprinkle in salt and pepper, to taste. 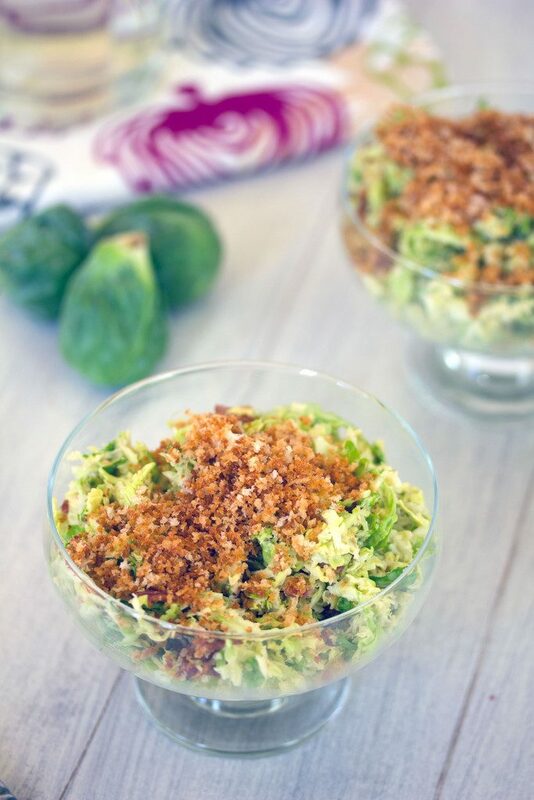 Serve brussels sprouts in individual bowls and sprinkle toasted panko over the top. 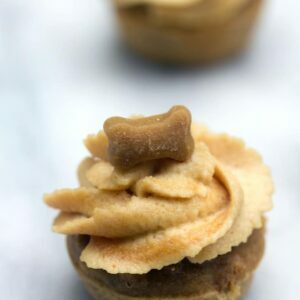 Place anchovies (if using), garlic, egg yolk, dijon mustard, lemon juice, and water in a blender and process for about 30-40 seconds, until mixture is smooth. With the blender still running, pour extra virgin olive oil in slowly, starting with 1/4 cup. 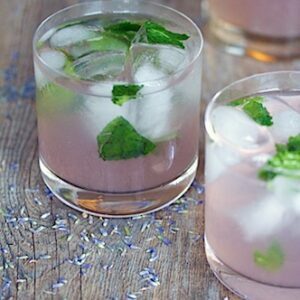 Continue adding oil until you reach your desired consistency, using up to 1/2 cup of the oil. Remove dressing to bowl. Stir in the parmesan cheese and ground pepper. 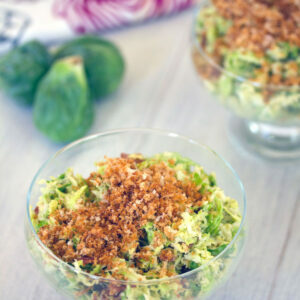 9 Responses to "Brussels Sprouts Bacon Caesar Salad"
Well I hope you are having a blast on the beach! Soak up some sun for me!! I love brussels sprouts any which way. Especially shredded and turned into a salad, so I’m digging yours! Plus you added bacon- always winning! Cheers and have a great vacay!! I loooove Brussels sprouts! I love them shredded up in salads like this, or simply roasted with a drizzle of maple syrup. Enjoy the beach!!! 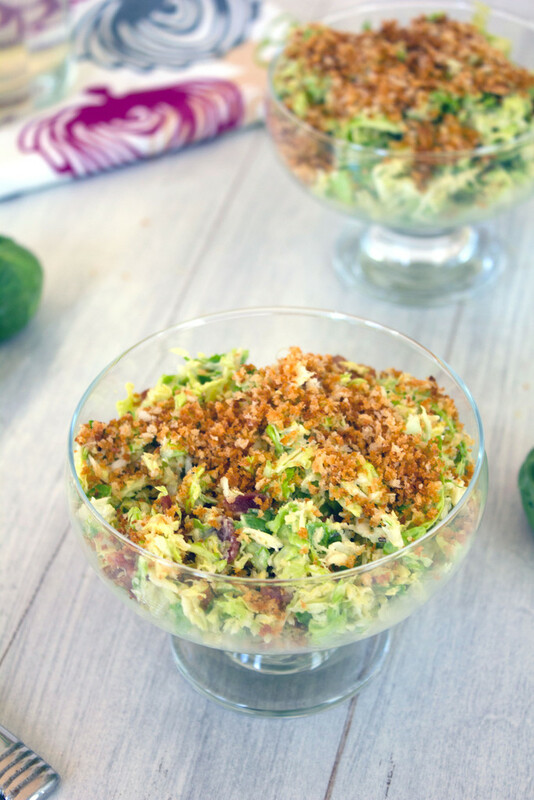 I’m a fairly new brussels sprouts convert but preparing this salad with shredded brussels is genius! Plus that dressing. And bacon… a win! I ordered brussels sprouts today (by the beach, in Santa Monica!) but I DROPPED THEM on my front porch. Sadness. Yes! This looks fantastic! 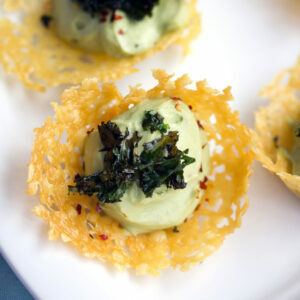 I love the panko for a crouton feel! I made this for lunch and used lots of anchovies and snuck in chopped basil too! This salad is excellent. Thank you for sharing. Love bacon and Brussels together! So good!